Efficient and effective use of data for right decision making is critical for maximizing the impact of investment on health and nutrition status for children. Tanzania is one of front-runner countries in terms of evidence-based planning and monitoring at a decentralized level using quality administrative data. Over recent years, UNICEF Tanzania Country Office has deployed efforts to support the Government in the development and advancement of data information management system and innovative data collection systems such as District Health Information System 2 (DHIS2) and ALMA RMNCAH Scorecard to be introduced and institutionalized in Tanzania. The use of data from these platforms and information is critical to improving data quality, as well as for better prioritization and programming. Insufficient and ineffective use of data collected from these platforms has been identified as the key challenge during planning cycles and further support on data use has been requested by the Permanent Secretary in the ministry of health in the Government of Tanzania. UNICEF Tanzania Country Office has a comparative advantage in this area and plays a critical role in the support provided to the Government to address and respond to the call at both national and decentralized levels. Under the overall guidance and direction of the Chief of health, The Health and Nutrition Specialist (Information System) will consolidate progress made so far from existing digitalization initiatives, accelerate and support the data use for right decision making and better programming for both Health and Nutrition programmes and will work under the supervision of the Chief of Health section in UNICEF Tanzania Country Office. Specifically, his/her scope of work will be focusing on data management, information systems, data use and supporting implementation researches on health and nutrition systems strengthening related activities through collaborating with other UNICEF sectors colleagues as well as consultants and partners. Data management and use The Health and Nutrition Specialist will take a lead of discussion and programmes related to data use and management in various administrative levels in Tanzania. Not only below specified areas of work, s/he will be required to be flexible to take initiatives on leading and providing technical support in on-going discussion and programmes from data management and use perspectives. Possible areas of work in addition to the below details are; revision and use of ALMA RMNCAH Scorecard, developing and dissemination of community scorecard for social accountability and EQUIST data update at decentralized level for Tanzania. Development and scaling-up of District RMNCAH&N Investment Case UNICEF Tanzania is currently supporting the Government in the designing of district-level RMNCH&N district profile and investment case. This brief and local-level portrait aims to support better use of data for problem identification and investment opportunity for women and children at district level. In consultation and effective collaboration with the Government and partners, the Health and Nutrition Specialist will provide support and bring additional expertise to improve and complete the design and implement this district level RMNCAH&N investment case approach. S/he will make sure that the approach is in line with existing planning exercises such as Comprehensive Council Health Plan (CCHP) and explorer scale-up plan through close collaboration with the Ministry of Health, Community Development, Gender, Elderly and Children (MoHCDGEC), the President’s Office of Regional Authorities and Local Government (PORALG) and other development partners especially the World Bank. Development and dissemination of Nutrition information system within DHIS2 UNICEF Tanzania has provided leading support to develop an evidence-based National Multi-sectoral Nutrition Action Plan (NMNAP) for the period of 2016 to 2021 to address the high levels of all forms of malnutrition in Tanzania. An important component of the NMNAP is Strengthening Multi-Sectoral Nutrition Information System (MNIS). UNICEF Tanzania has been supporting the implementation of MNIS agenda through strengthening and promoting evidence based planning and budgeting through applying bottleneck analysis (BNA) approach, including financial expenditure tracking for all districts since 2015. For sustainability and robustness of the system, effort has been deployed to transition from manual data collection approach to digitalized information collecting system embedded within DHIS2 in collaboration with Tanzania Food and Nutrition Centre (TFNC) and University of Dar es Salaam. The Health and Nutrition Specialist will ensure current initiative is fully supported in terms of completion of the system development, including dissemination and use of the new system at district level, as well as promoting its effective use. S/he will also represent UNICEF at the technical working group (TWG) on MNIS, including co-chairing for the coordination of any nutrition data related activities within Tanzania and maintain close communication with MoHCDGEC, PORALG and key development partners. Developing and coordinating Newborn related data collection Despite improved coverage of globally recommended perinatal care interventions, newborn morbidity and mortality still remain high in Tanzania. Factors such as shortage of human resource, erratic supply of essential medicines and commodities, weak referral system, unintegrated health information system and poor care seeking behaviour are key in determining newborn health status. The Health and Nutrition Specialist will also work closely with the Maternal and Newborn health specialist (NOD) and newborn research consultant to address health information system challenges for newborn care programming, and develop newborn dashboard system to be used at all levels (health facility, district, regional and national) to overcome data availability challenges. Implementation research UNICEF Tanzania has been implementing a significant number of activities at different levels of the health system. Implementation or operational research is needed to document the process, as well as to identify corrective measures during implementation phase. The Health and Nutrition Specialist will lead and facilitate any operational or implementation research related activities for health system strengthening approaches and quality improvement initiatives. S/he will make sure that quality reporting systems are in place at project sites and work closely with HQ and RO focal points to conduct the study when necessary. Partnership coordination The Health and Nutrition Specialist will enhance close working partnerships with government counterparts (both MoHCDGEC and PORALG) and other development partners through proactive communication. S/he will represent organization in key meetings and introduce UNICEF’s activities to partners. S/he will also dedicate some time for capacity building, not only UNICEF team but also partners including development partners in the areas of Health and Nutrition data management and use. S/he will also facilitate resource mobilization effort in supporting and strengthening UNICEF Tanzania’s Health and Nutrition programmes implementation. S/he will initiate activities related to resources mobilization and advocacy for funding opportunities, including developing proposals and reports and organizing delegation field visits as necessary. An advanced university degree in one of the following fields is required: medicine, public health, nutrition, biostatistics, social sciences, behavior change communication or another relevant technical field. A minimum of five years of professional experience in Health and/or Nutrition-related programmes is required. At least three-year experience in supporting evidence based planning and monitoring activities for developing countries is required. 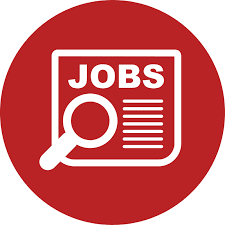 Successful experience in large dataset and complex information management, evidence based programming and expenditure tracking and financial analysis in Tanzania for both Health and Nutrition areas are required. Fluency in English is required. Knowledge of Kiswahili is an asset.